Mark Lindsay joined the Royal Ulster Constabulary in 1987 and served in Aughnacloy, Ballygawley and Cookstown stations in County Tyrone. In 1996 he transferred to No.5 MSU in Newtownabbey. He was promoted to Sergeant in 1999 and was transferred to Ballymena. He subsequently specialised in missing person and police search and co ordinated the security requirements of major events in Northern Ireland. First elected to his Regional Board as a Sergeants representative in 2003, he became Chairman of the Regional Board in 2007. 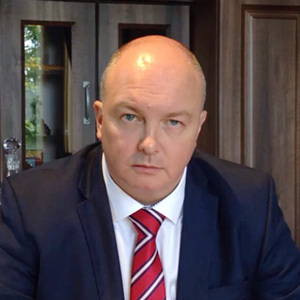 Mark has served on Central Committee since 2006 and became Vice Chairman of the Police Federation for Northern Ireland in 2009. He was elected Chairman of the Police Federation for Northern Ireland in February 2015. Mark holds many professional qualifications as well as being a graduate of The University of Dundee. Chair of Finance, Pay and Pensions Sub Committee. “For the families and colleagues of those officers who have laid down their lives in service to our communities, the importance of having a national memorial should not be underestimated.